Any one of these articles posted on this or similar blogs could be the last ones! Sites like WSWS and others have seen their readership drop by thousands or even hundreds of thousands. This blog’s postings on Twittster have fallen to single or barely double digits. I have no idea if anyone is even able to read it on Facebook any longer. It turns out that old saying is indeed true: If a tree falls in the forest and the New York Times or the Washington Post do not report on the event, it simply does not exist. 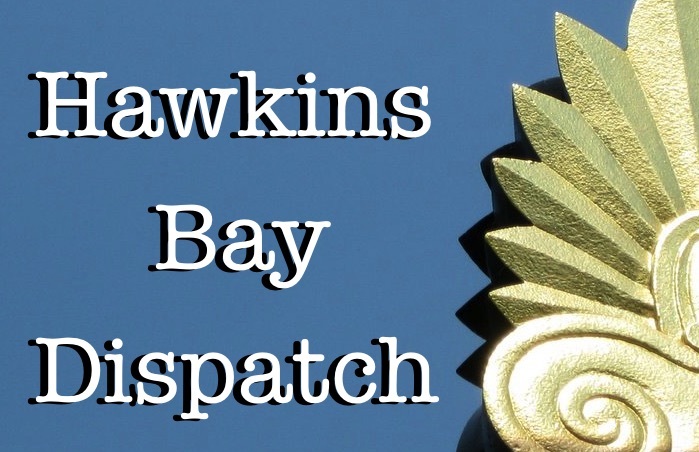 Thank you to those who continue to read Hawkins Bay Dispatch via email. Who would have thought email would turn out to be the saving grace of a quasi-free-press. ha. Who knows how long that will last. The war is over. The battle, sad to say, will not be won in our lifetime. The New York Times and Washington Post this week published reports of a private meeting last month between eight major technology and social media corporations and the US intelligence agencies, to discuss their censorship operations in the lead-up to the November 2018 mid-term elections. The meeting was convened at Facebook’s Menlo Park, California, headquarters on May 23, and was attended by representatives from Amazon, Apple, Google, Microsoft, Snap, Twitter and Oath, which owns Yahoo and the telecommunications network Verizon, along with agents from the FBI and the Department of Homeland Security. The meeting is yet another testament to the increasing integration of the technology giants with the US military/intelligence apparatus. These companies, which provide a growing share of the technical infrastructure for the repressive apparatus of the state, increasingly see the censorship of left-wing, anti-war, and progressive viewpoints as an integral part of their business strategy. Amazon, Microsoft and Google are competing to secure control over a $10 billion project to host the Pentagon’s Cloud infrastructure, a position that will literally mean hosting the communications between military units engaged in battle. Employees at the three companies have also written letters in recent months denouncing their provision of artificial intelligence technology to improve drone targeting (Google), facial recognition of civilians by police agencies (Amazon), and assisting in the operations of the Immigration and Customs Enforcement (Microsoft). The Times and the Post are the main media voices for the campaign by the Democratic Party and intelligence agencies for Internet censorship, under the guise of opposing the spread of “misinformation” by the Russian government. This McCarthyite campaign is based on the totally unsubstantiated allegation that Russian “fake news” led to popular disillusionment with Hillary Clinton in the 2016 vote, and the subsequent election of Donald Trump. The newspapers’ synchronized reports therefore present last month’s meeting as aimed at preventing Russian interference in the mid-term elections. But the real target of the censorship campaign is popular access to left-wing news sources not controlled by the corporate media, and the proliferation of oppositional social media content, such as videos of police killings, mass roundups of immigrants, military interventions, protests and exposures of corporate malfeasance and government criminality. Last Thursday, Facebook published an announcement by its Head of News Integrity Tessa Lyons, announcing a further expansion of these measures, including the introduction of “fact-checking” for videos and photos. The post also stated that Facebook is introducing “machine learning to help identify and demote foreign Pages that are likely to spread financially-motivated hoaxes to people in other countries.” These will work alongside Facebook’s army of “fact checkers”—i.e., censors—many of them former security and intelligence agents, who belong to the 20,000 people employed in its “security” and “moderation” department. With the official ending of net neutrality this month, the financial oligarchy that controls both the search and social media monopolies and internet service providers has further tightened its grip over the freedom of expression on the internet, with ISPs given the prerogative to block and throttle internet content at will. The expansion of internet censorship takes place amidst mounting pressure on whistleblower Julian Assange, the Wikileaks journalist who has been effectively imprisoned in the Ecuadorian embassy in London since 2012, where he was forced to take refuge to avoid being extradited to the US and charged for publishing evidence of US government crimes. The persecution of Assange for the “crime” of publishing the truth is aimed at intimidating whistleblowers and honest journalists all around the world. Google , which attended last month’s meeting with the FBI and Department of Homeland Security, has altered its search engine algorithms to censor left-wing and anti-war websites, including the World Socialist Web Site, whose Google search traffic fell by three quarters in response to changes by the search engine in April 2017. There are indications that Google has recently intensified its censorship of the World Socialist Web Site, with search impressions falling by as much as one third over the past month. We urge all readers of the World Socialist Web Site seeking to defend the freedom of expression online to contact us and join the struggle against internet censorship.